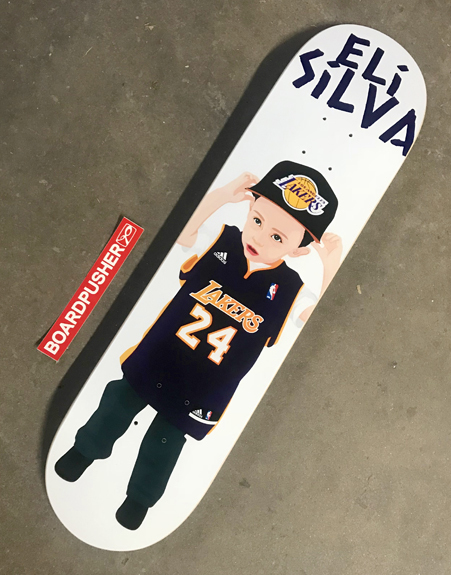 Carlos and Eli are both big Lakers fans, so Carlos fashioned his photo of Eli into his first pro model and it’s today’s BoardPusher.com Featured Deck. Best of luck to Eli having many more pro models in his future. You can follow Carlos and Eli’s adventures on Instagram @sickside86. Create a custom pro model skateboard graphic for yourself or the skateboarder in your life at BoardPusher.com.